THANK YOU to the more than 900 who joined us on Friday, October 26 to help us celebrate artists and raise critical resources for Bemis Center programs! We are excited to share more than $417,000 was raised and will be used to continue our tradition of exceptional artist support, provocative exhibitions, and educational programs. 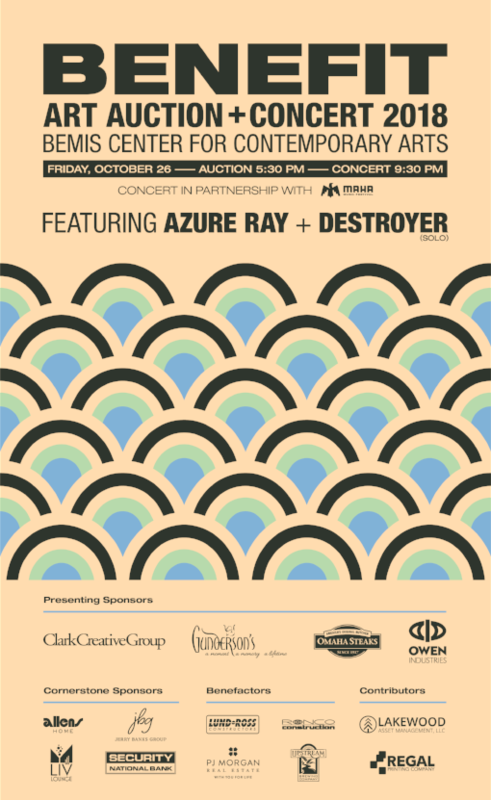 Hats off to the participating artists, Destroyer, Azure Ray, Maha Music Festival, our Event Committee, Sponsors, Board, Staff, Volunteers, and everyone else who made the Benefit Art Auction + Concert a huge success!